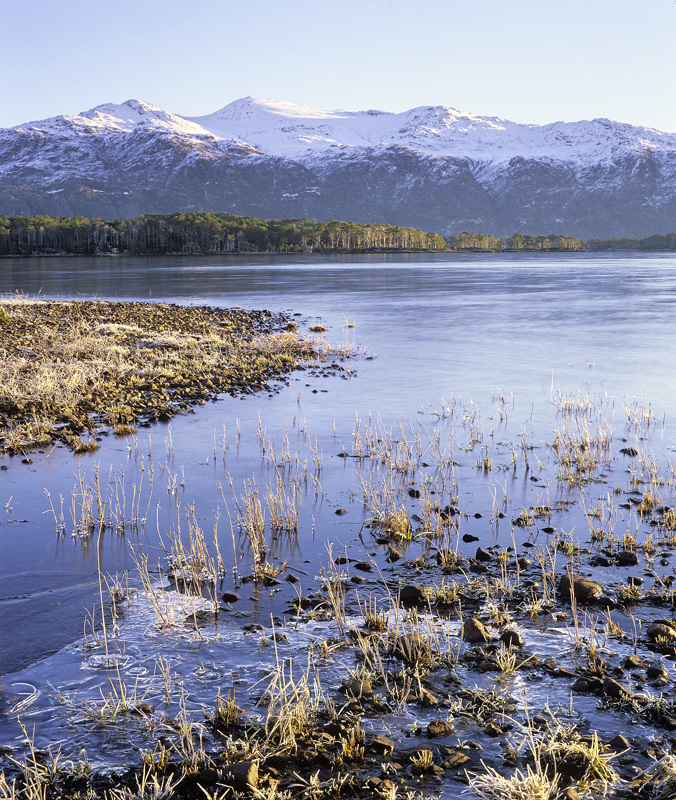 A freezing cold crisp February morning at the edge of Loch Maree in Slattadale. Small tufts of golden grass poke through the water which as we stood there froze over encapsulating the stems in fragile fractured ice. I waited for the sunlight to scour the ground far enough around to strike the Scots pine islands and turn the verdant canopy amber in the early morning sun. Wish the sky had been a little more striking.